Babaganaru Set To Replace Amapakabo At El-Kanemi – Royal Times of Nigeria. Nigeria Professional Football League side, El-Kanemi Warriors are reportedly in talks with Mohammed Babaganaru for the club’s vacant managerial position. 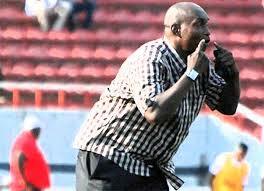 Erstwhile head coach of the team, Imama Amapakabo quit his role with the team at the end of last season. Amapakabo is also one of the assistant coaches to Super Eagles head coach, Gernot Rohr. Babaganaru was in charge of Yobe Desert Stars last season, but his one-year contract was not renewed at the end of the campaign. Yobe Desert has since replaced him with former Go Round FC of Omoku coach, Ngozi Elechi. Babaganaru is one of the most experienced coaches in NPFL having handled the likes of Kano Pillars, Nasarawa United and Wikki Tourists in the past. The 2018/2019 Nigeria Professional Football League season will kick off on December 1st.